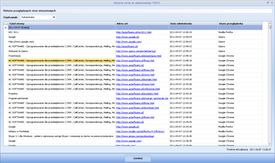 Surveillance of PC's users activities. 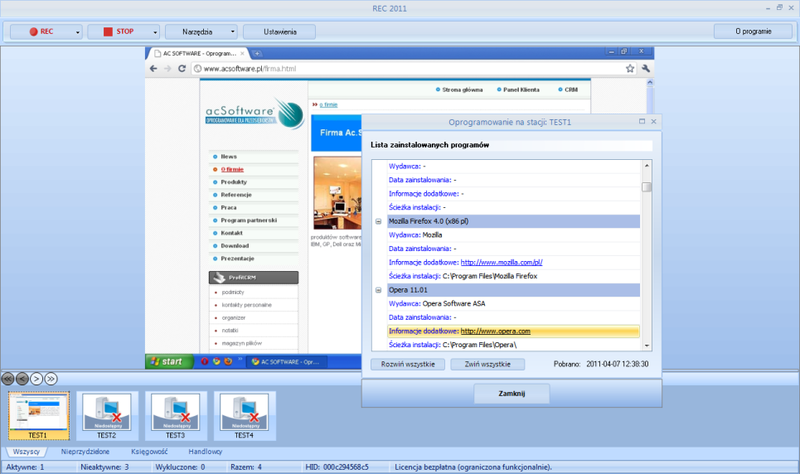 REC2011 enables to monitor the activity of users working on a PC running Windows operating system. 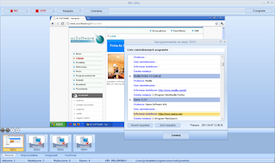 In companies it can be applied with the aim of employees' or institutions' performance assessment, yet at homes as parental control program. 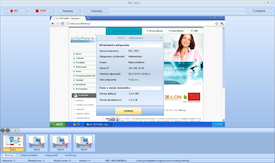 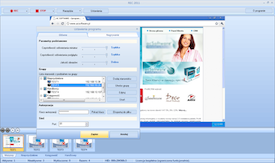 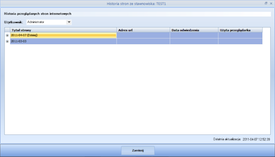 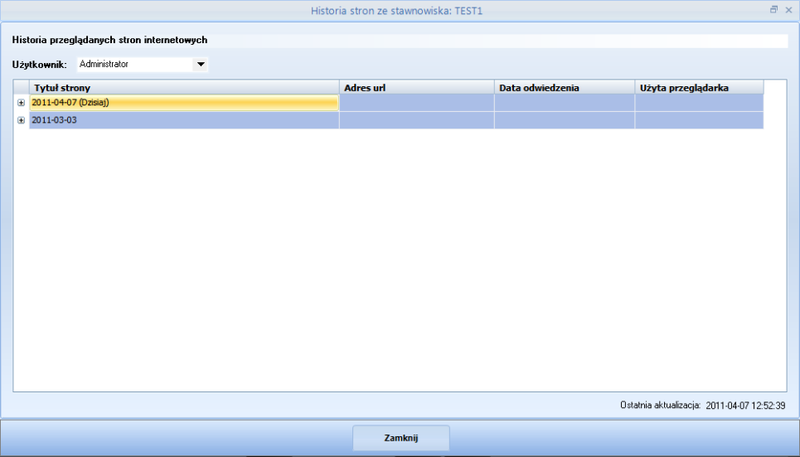 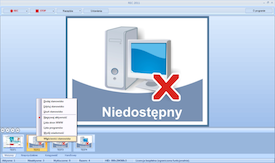 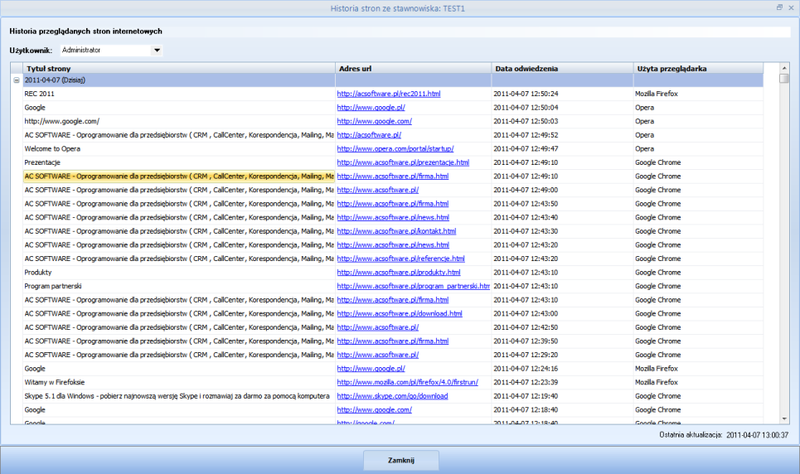 REC2011 makes it possible to view the content of a computer desktop, record performed activities, to monitor all visited websites and create lists of installed software. 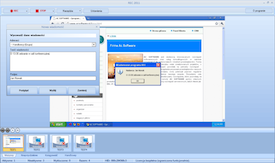 Basic version of the program is available for free.